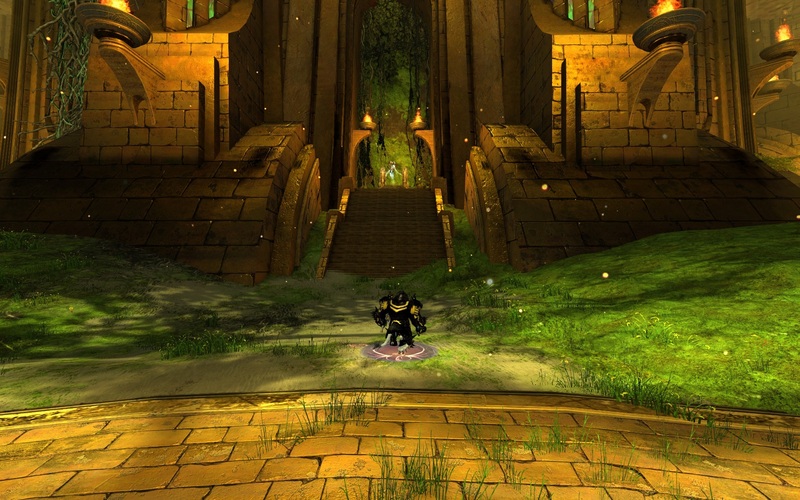 If a golden chicken exists, where would it hide in a golden city? 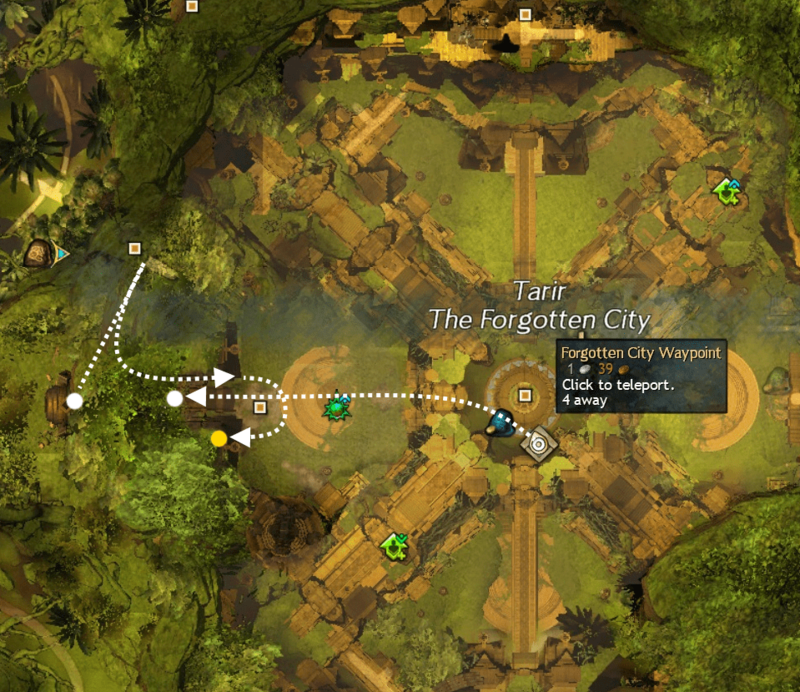 Start from the Forgotten Waypoint in the center of Tarir. 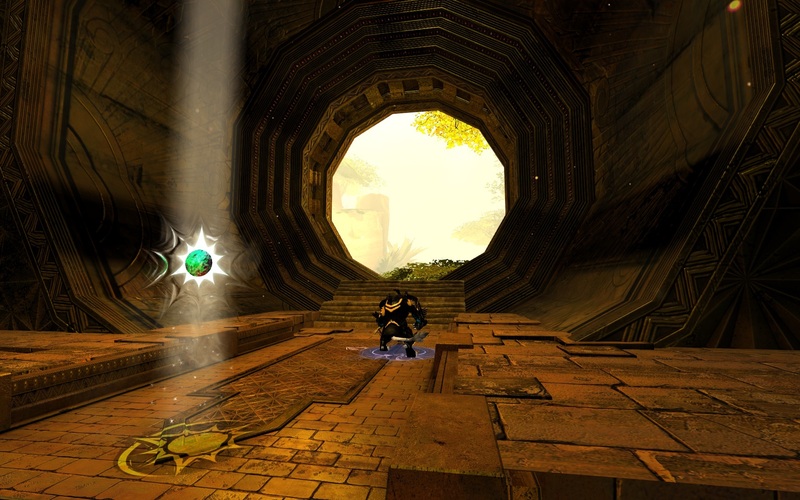 Head west to the Exalted Portal and activate it to gain access to Upper Tarir. 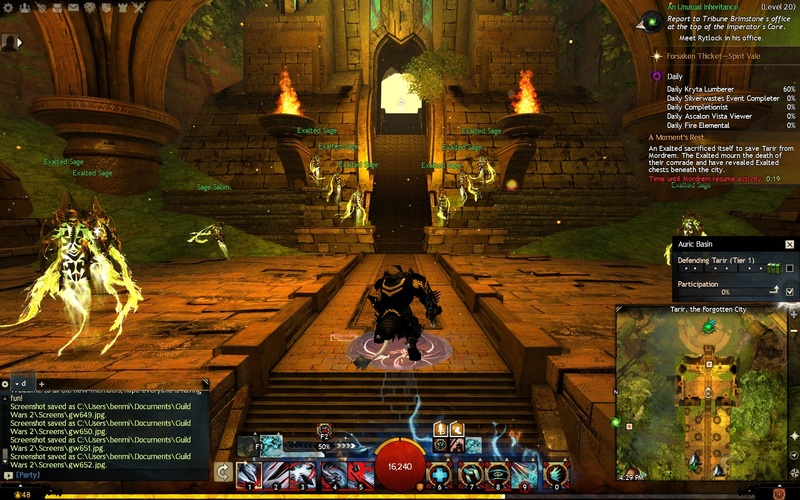 If you are unable to use Exalted Portals, you can enter Upper Tarir from the West at the surface layer. 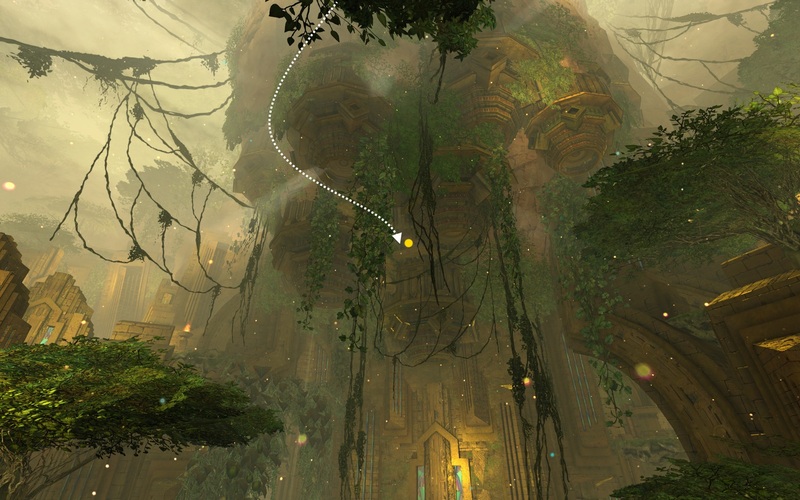 From the upper portal, head to the left of the stairs and follow the path around slightly right until you get to a bouncing mushroom. Use the bouncing mushroom to reach the next level where you will find another mushroom that will bounce you to the upper level. Head straight and go up the long flight of stairs, passing a Mastery Insight at the top. 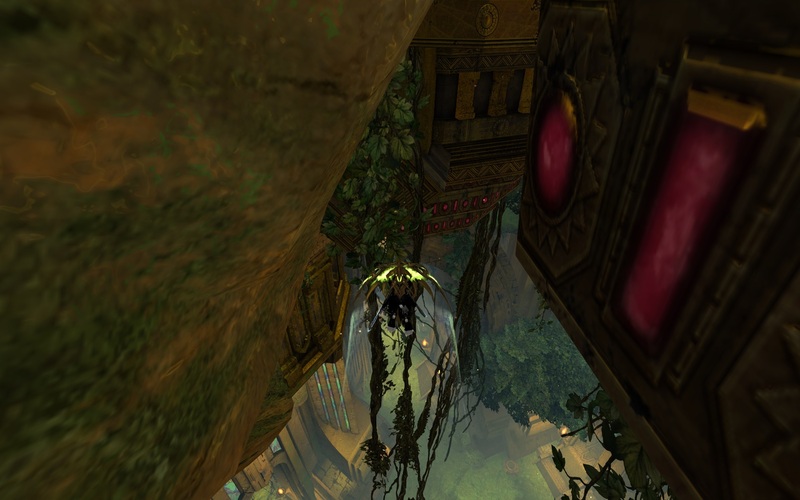 The next part involves gliding down to the Golden Chicken’s nest. 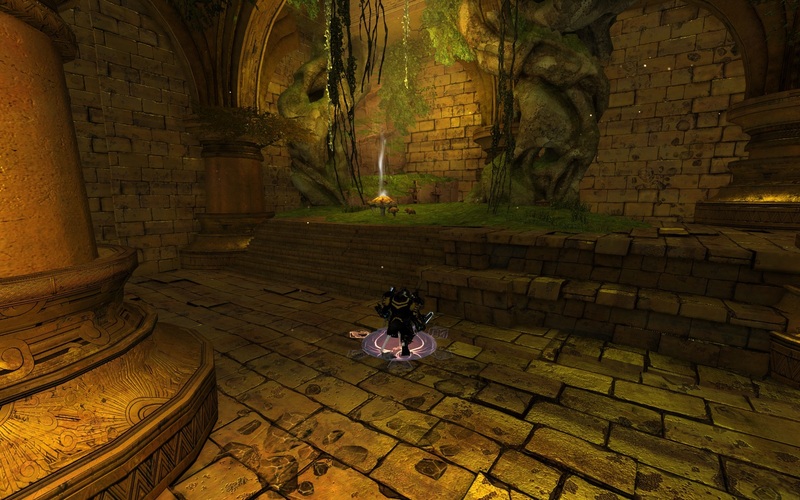 Walk out through the circular opening and onto the ledge overlooking Tarir, positioning yourself near the right-hand side. 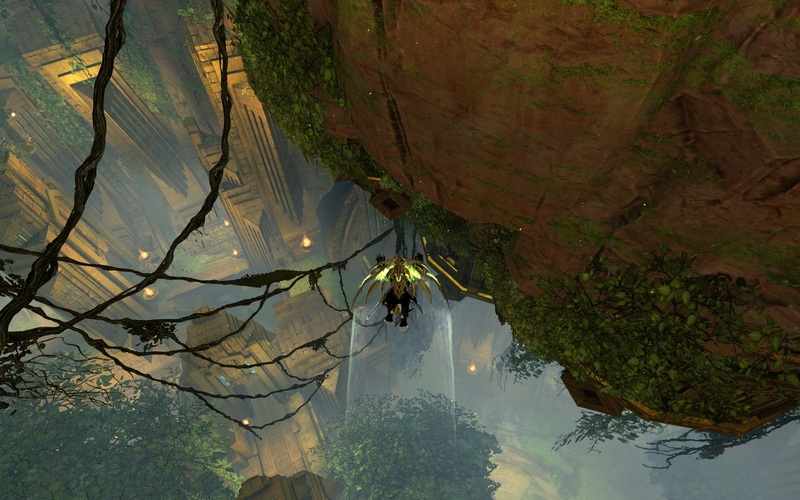 The nest is located back below the ledge, facing away from the center of Tarir. 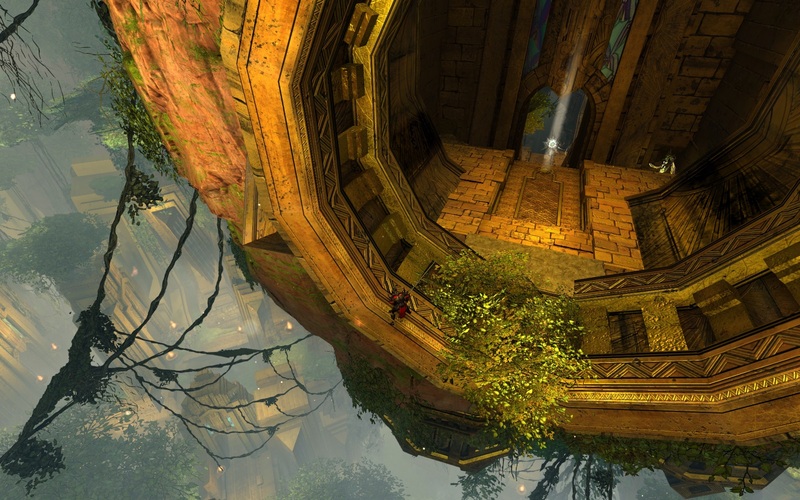 Jump off of the ledge and slowly glide to the right, dropping down for a second or two in order to conserve stamina and lose a little altitude. 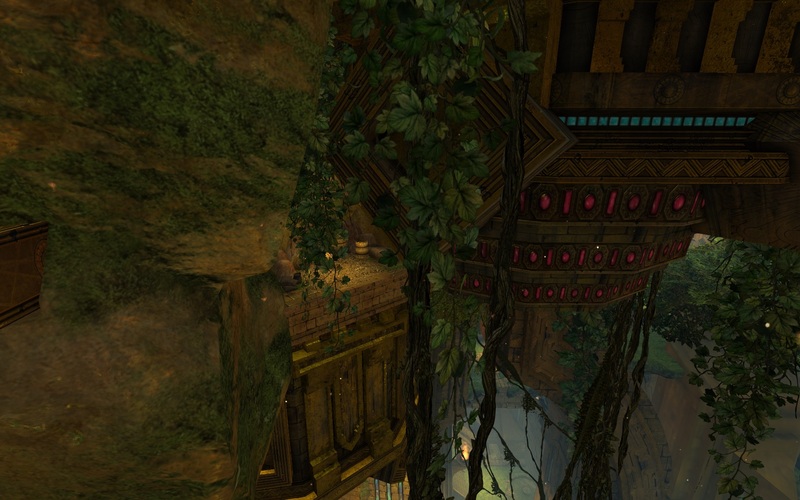 As you make your way back below the ledge, aim for a grouping of vines and foliage situated between the rock face and building structure. 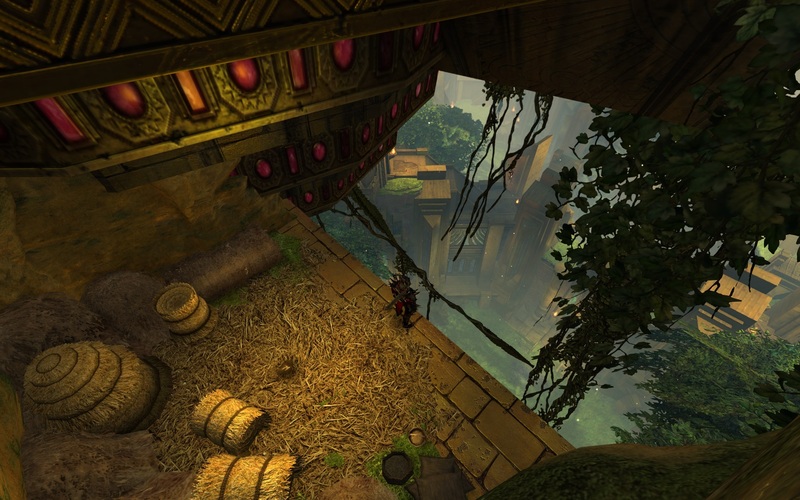 After passing through the vines, the Chicken’s nest can be seen straight ahead, identifiable by the straw-covered ledge. 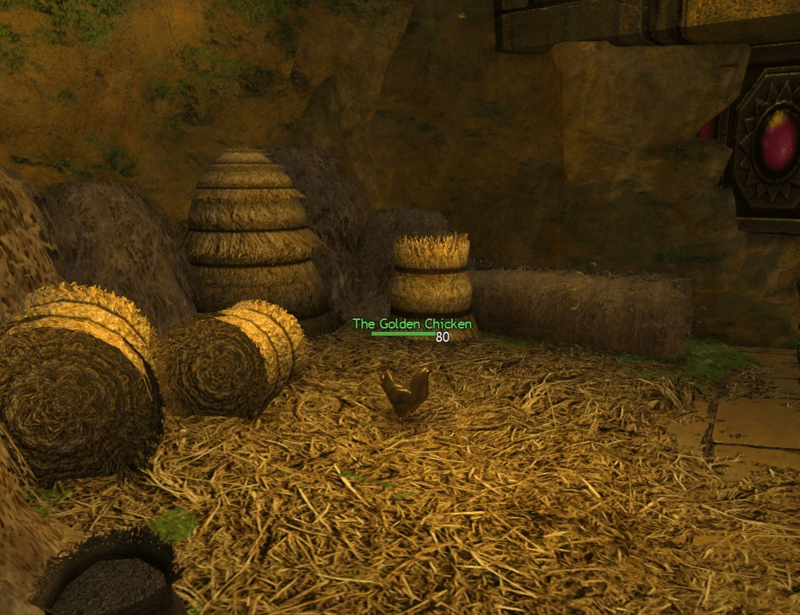 The achievement will be completed as soon as you land in the Golden Chicken’s Nest.